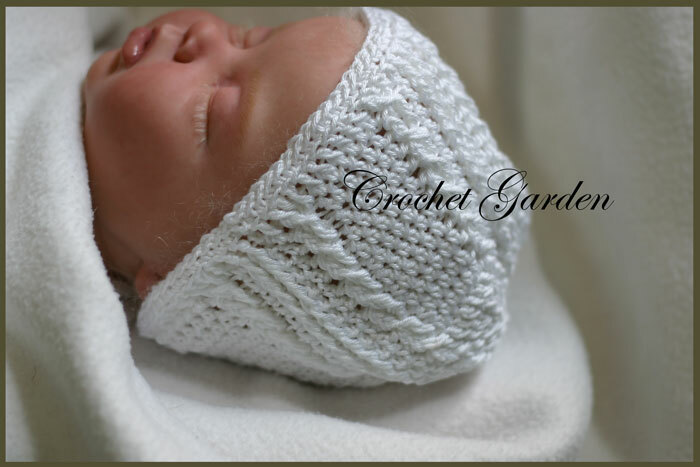 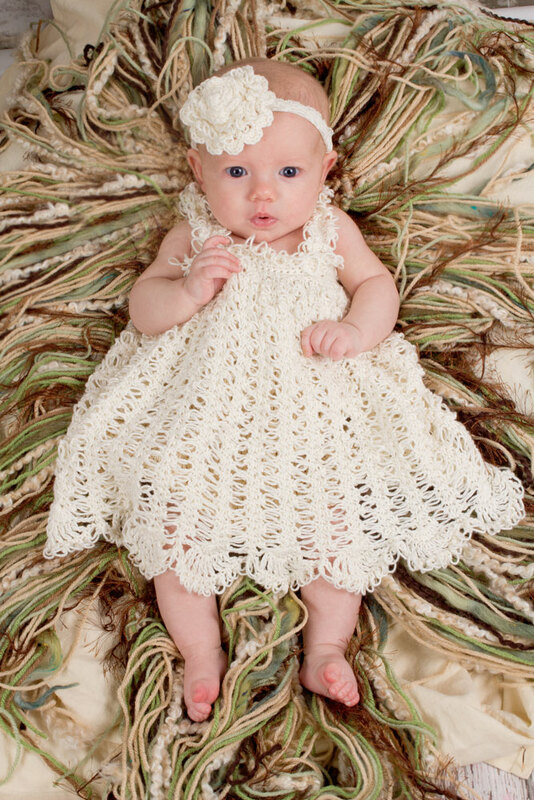 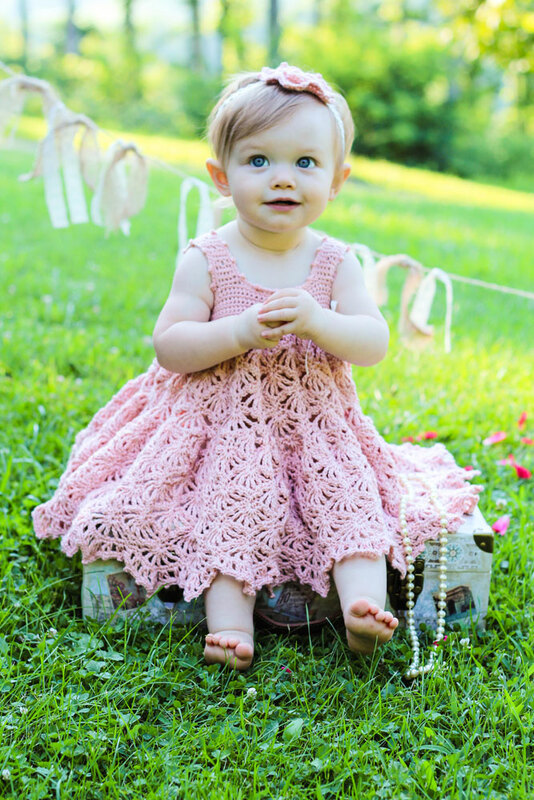 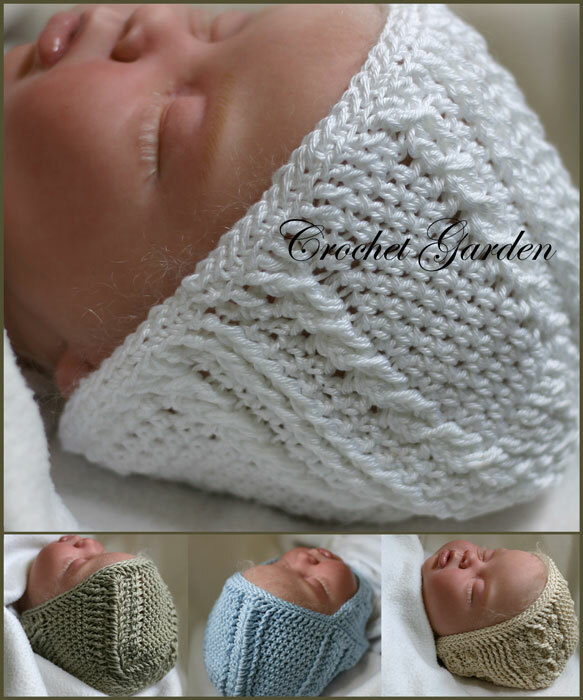 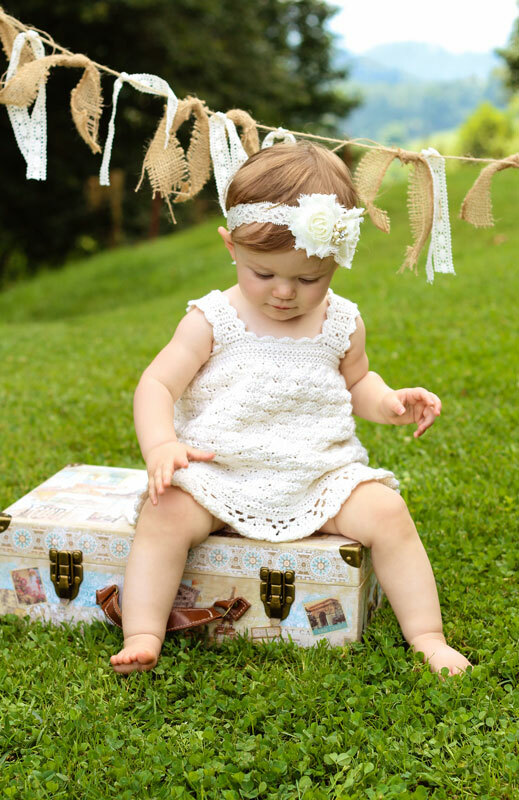 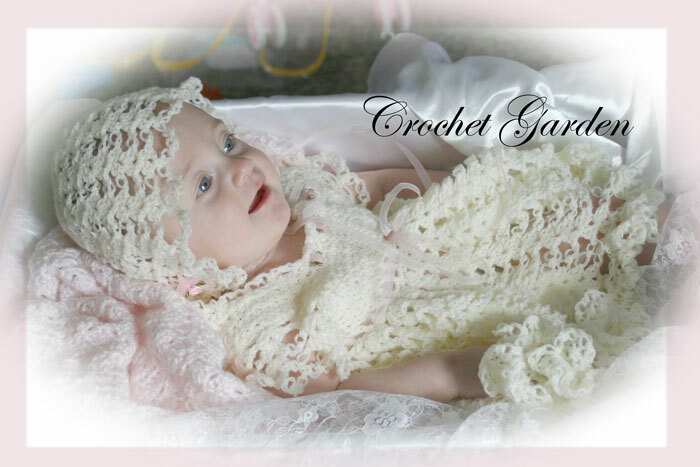 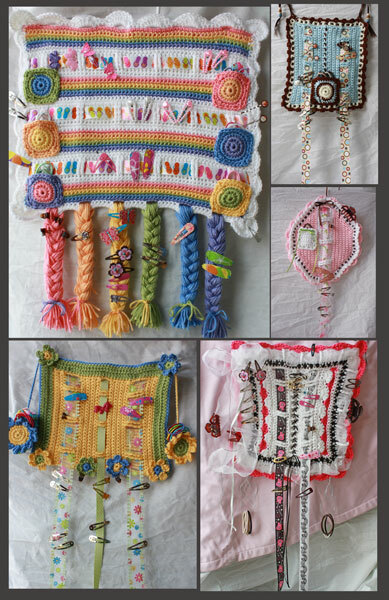 This set includes 4 patterns with 8 sizes to fit babies and toddlers Newborn to 36 months. 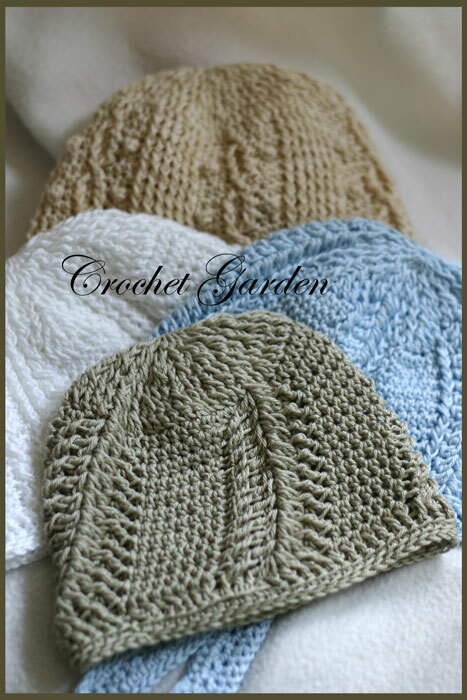 Each hat is highly customizable. 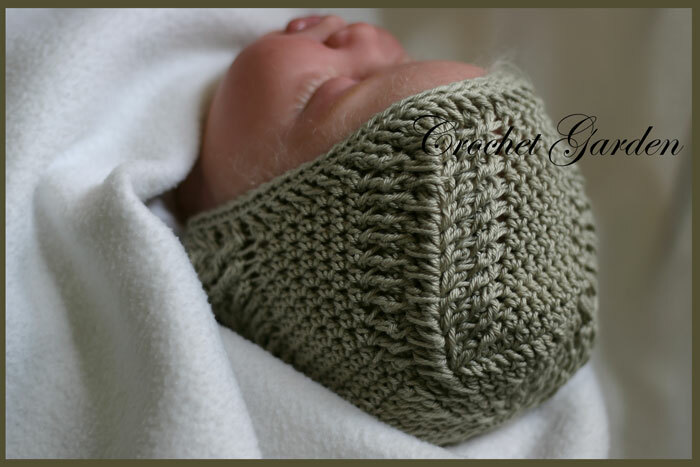 They work from the crown down making depth of hats a great fit, and each has the option to be made with flaps or without flaps. 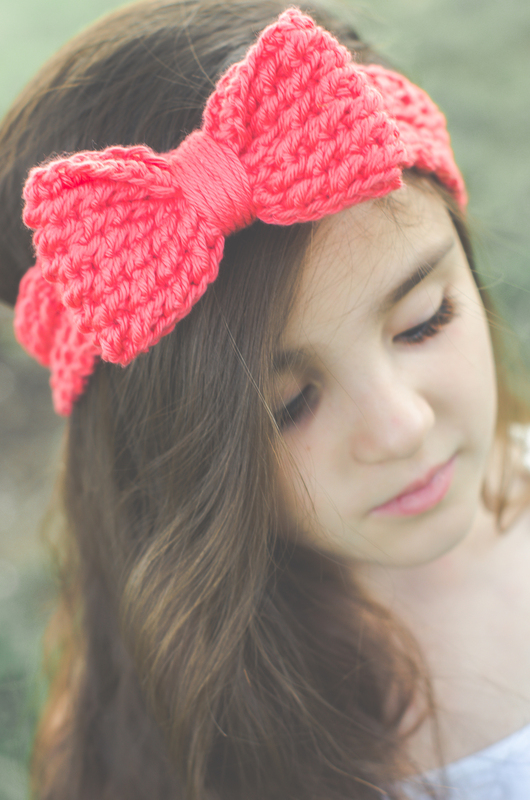 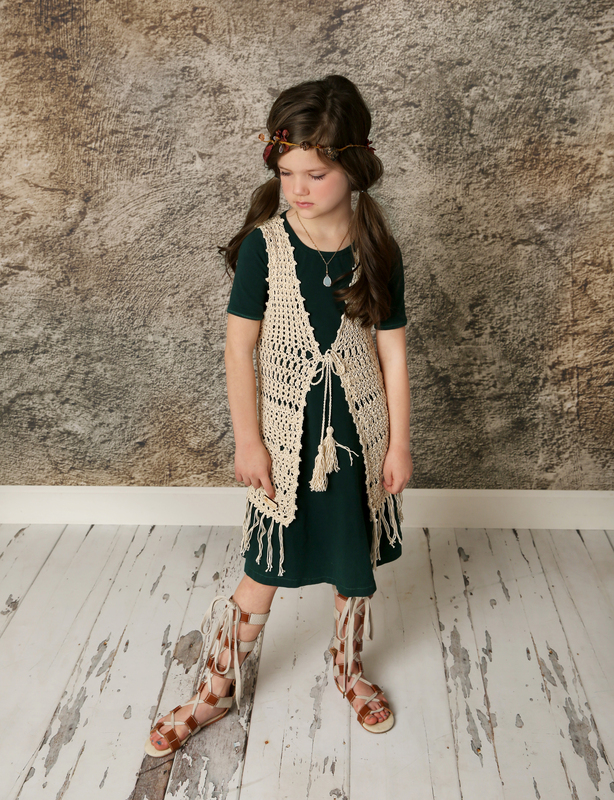 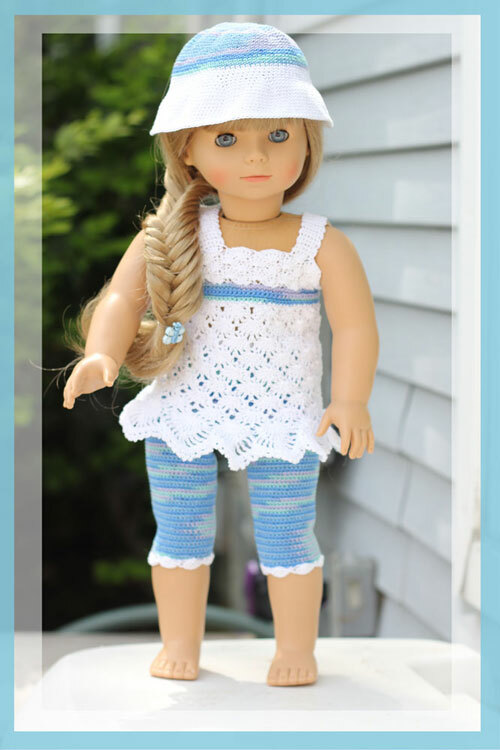 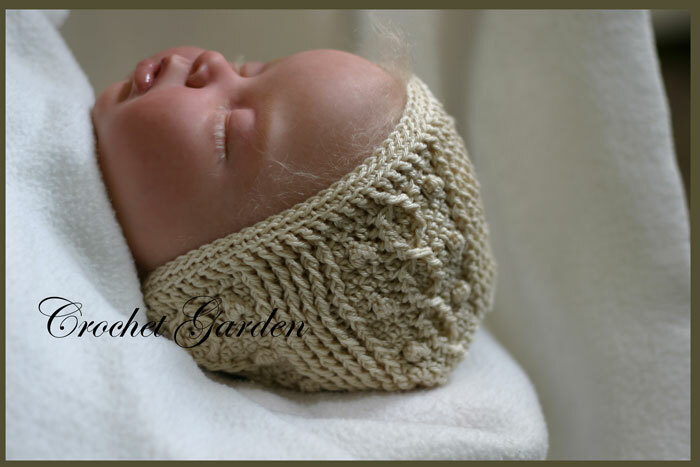 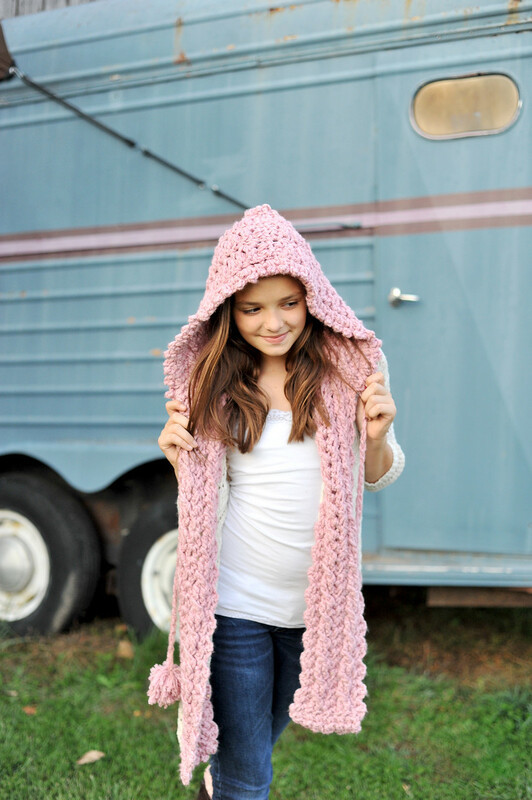 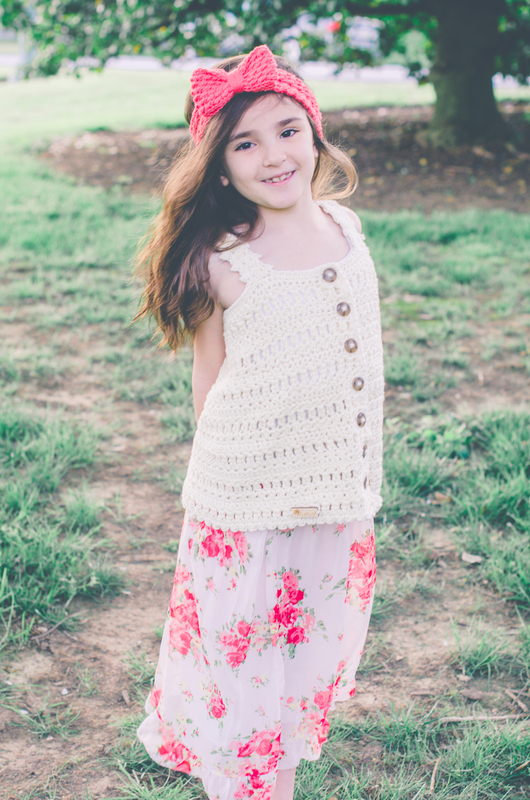 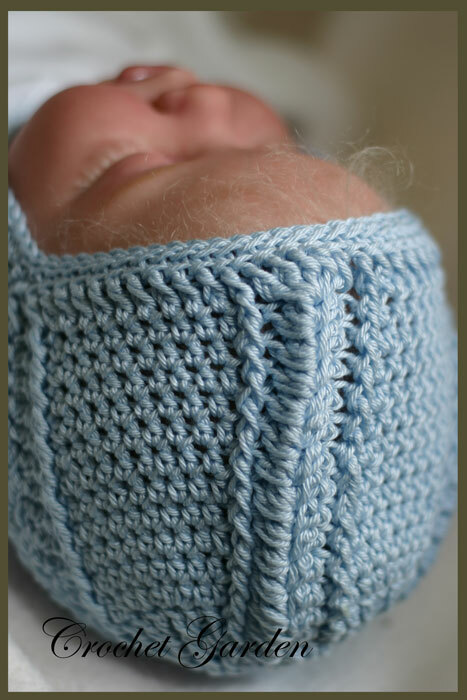 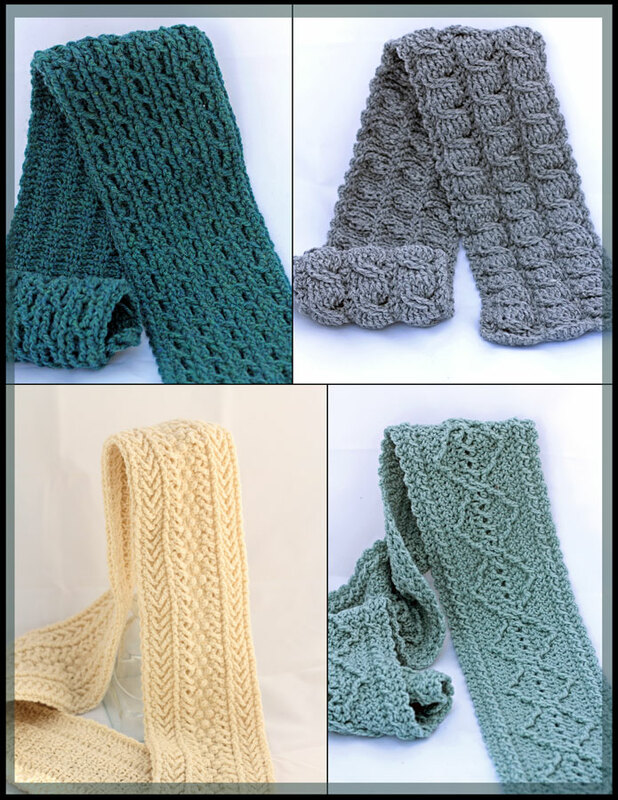 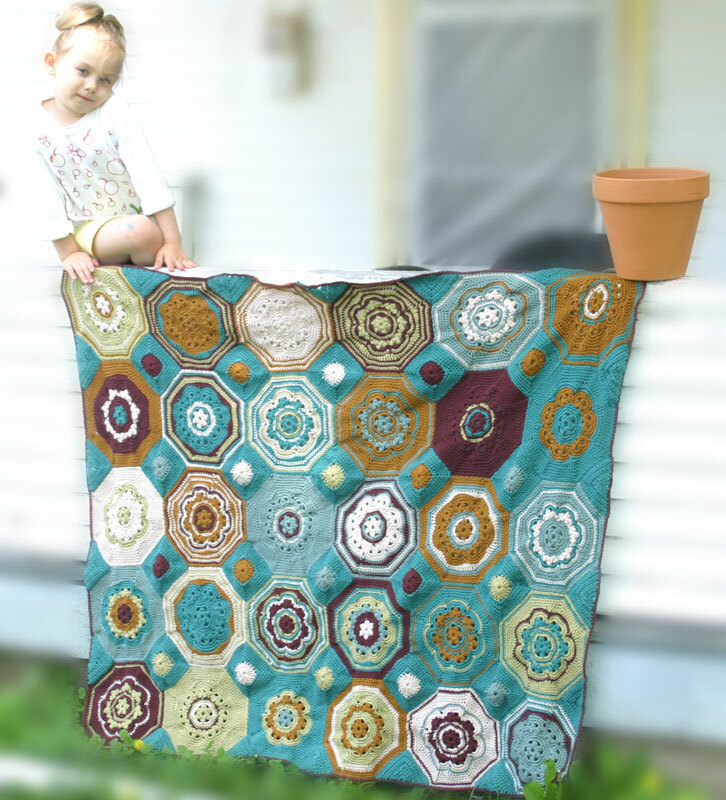 Pattern calls for 100% cotton yarn, though many fibers can be used as long as gauge is met. 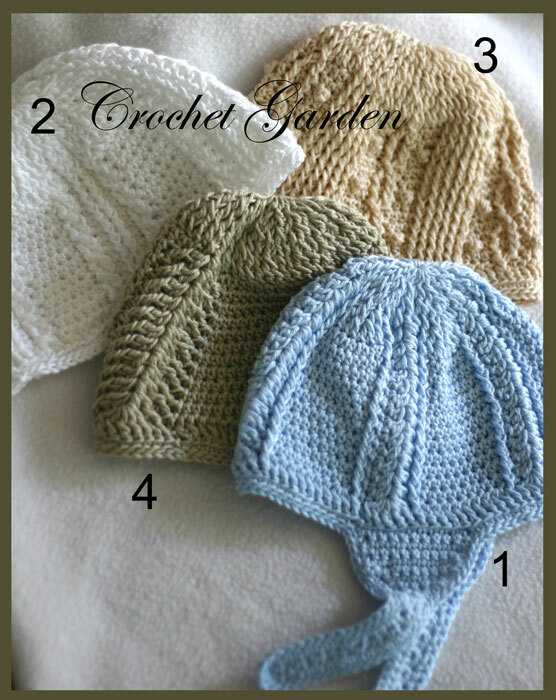 12 [13, 14, 15, 16, 17, 18, 19] inches Note: Choose size that is 1/2 - 1 3/4 inches less than actual head circumference.